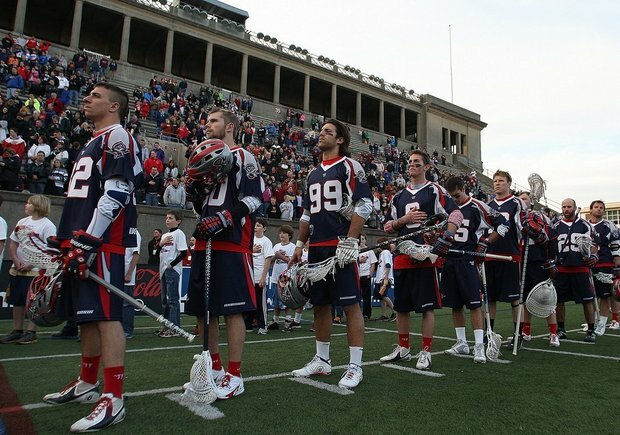 May 18, 2013 - Allston, MA - Boston Cannons captain Ryan Boyle (three goals, two assists) scored less than a minute and a half into overtime to lift the Boston Cannons (1-3) to their first win of the season, 15-14, over the previously undefeated Chesapeake Bayhawks (3-1) in front of 11,156 fans at Harvard Stadium Saturday night. Paul Rabil led the Cannons with four goals, including a two-pointer, and two assists for seven points. This was the 10th Annual Northborough-Southborough Night at the Cannons, and we had 250 players and parents in attendance. The matchup between the past two Major League Lacrosse champions was expected to be physical, and that’s exactly what it was. 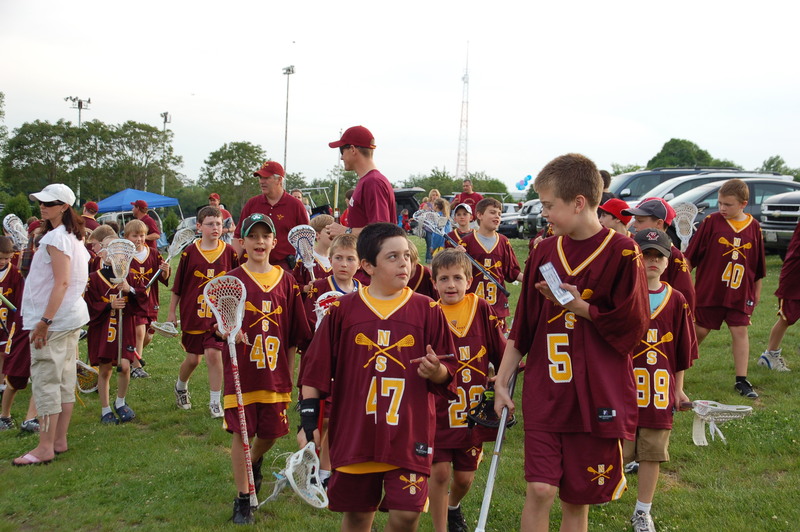 The Cannons, who had never before started a season 0-3, came out with heart and grit, matching the Bayhawks step-for-step. The first quarter was back-and-forth as the Cannons and Bayhawks traded goals, which would prove to be a trend throughout as the game saw 11 ties. Chesapeake's Drew Westervelt put the Bayhawks on the board just under two minutes in, but Kevin Buchanan struck shortly after. With a Rabil inside drive and Jon Hayes' first goal of the season, the Cannons led 4-3 after one. Aggressive play continued in the second but the Cannons kept their composure, exhibiting good ball movement contributing to Boyle's two regulation goals. Chesapeake's John Grant Jr. also scored twice, including a diving shot from in front of the net. Buchanan scored on a power play and Rabil recorded two assists as the Cannons took an 8-7 edge into the break. Chippy play resumed in the third quarter. Early on, the Cannons nearly fought off a three-minute penalty on Ryan Nizolek, but Grant Jr. recorded his third goal of the game, scoring on a tight angle just as the teams returned to even strength. Chesapeake's Matt Abbott also completed a hat trick during the quarter. Down 9-8, the Cannons turned it on, rattling off three straight goals: Rabil scored twice, including his two-pointer, and Kyle Sweeney put one in the back of the net on a dish from Boyle. But Chesapeake's Steven Brooks ripped a two-pointer with just five seconds left in the quarter to tie the game at 12 going into the final 15 minutes of play. The fourth quarter remained scoreless until Mike Stone converted a feed from Boyle with four minutes to play, breaking Boston's two-game fourth quarter scoring drought. Grant Jr. answered, replicating his dodge and dive move from the second quarter. The 38-year-old Grant Jr. struck again less than a minute later to put the Bayhawks up 14-13. Rabil then notched a goal on an inside roll to tie the game with 1:11 left in regulation. Chris Eck won the face-off to give the Cannons the first possession of overtime, and one possession was all they needed. After calling timeout, Boyle spun his way from the back of the crease to the front of the net, diving in for the game winner. Eck was strong on the face-off, winning it 66% of the time over Adam Rand and collecting ten ground balls. Goalie Mike Gabel gave a stellar performance in his second start for the Cannons, stopping 17 shots. 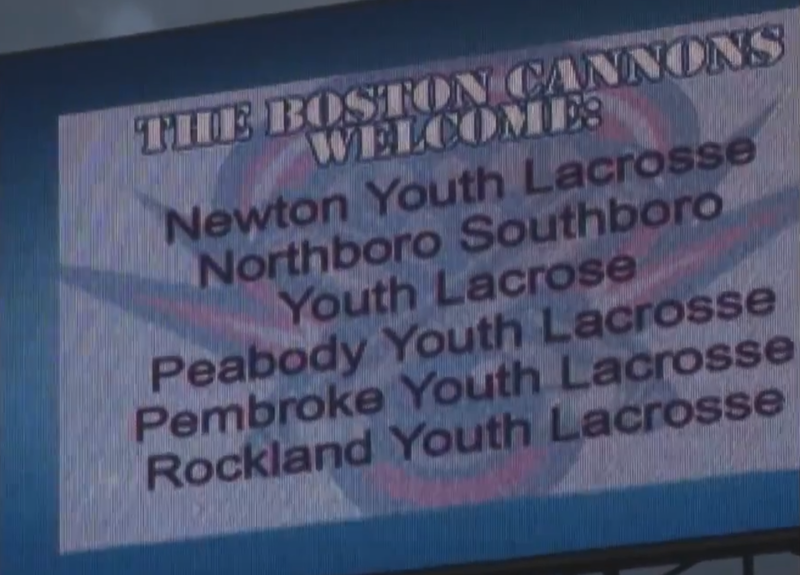 The Cannons beat the Bayhawks in ground balls 37-24. The Cannons next travel to Denver on Friday, May 31 to face the Outlaws (9pm EST). The next home game is Friday, June 21 against the New York Lizards (7:30pm). Don't miss our 10th Annual Northborough-Southborough Night at the Cannons this year, scheduled for May 18th! 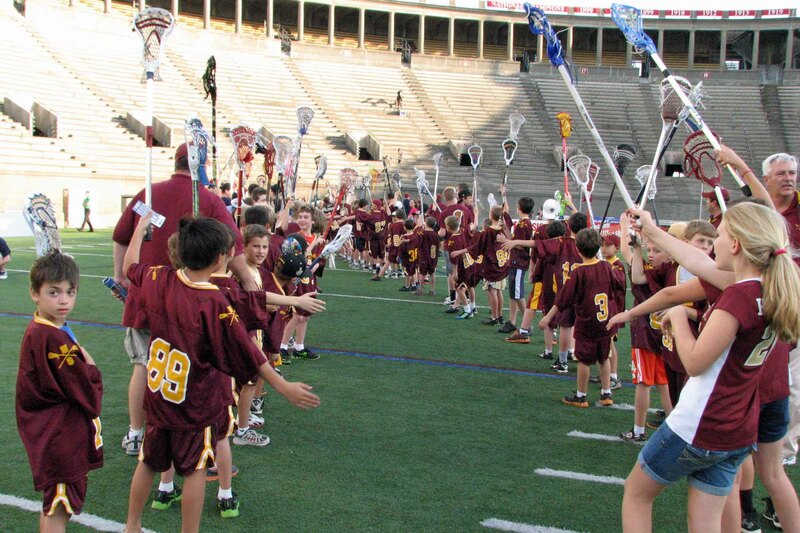 Last year we brought 326 people to our tailgate party, and enjoyed watching our U11's get to play inside historic Harvard Stadium, followed by the exciting Boston Cannons game. Order your tickets today in our SpiritWear store and come support your Boston Cannons! Clarification - in order for a U11 player to be eligible to participate in this game you must purchase a ticket.